TBILISI, DFWatch–A former Georgian defense minister has revealed the existence of a contract which appears to invalidate the takeover of one of the main TV stations in the country, as the Supreme Court is considering the case. The city court in Tbilisi decided in November last year to hand control of Rustavi 2 to the investor Kibar Khalvashi, who claimed to have been threatened by people with ties to the Saakashvili regime to give up his shares. 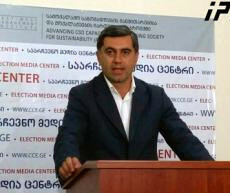 For the last decade, Rustavi 2 has been known for its bias in favor of UNM, the party of ex-President Mikheil Saakashvili. The Appeals Court upheld the ruling and the Supreme Court is expected to announce soon whether it will hear the case. But Former Defense Minister Irakli Okruashvili’s revelation, if true, of a contract proving that Khalvashi never owned any shares in Rustavi 2 seems to place the whole case in an new light. 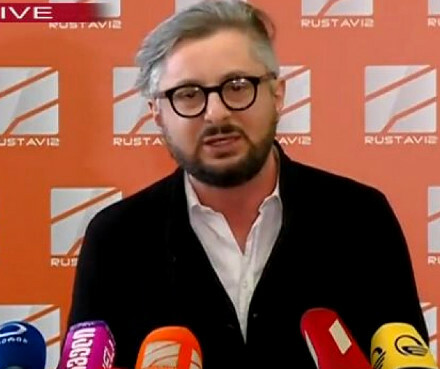 Okruashvili said in an interview with Rustavi 2 two days ago that the shares in Rustavi 2 never belonged to Khalvashi, but instead were owned by him. The ex-minister now plans to file a lawsuit to claim ownership, but in Paris or London – not in Georgia. 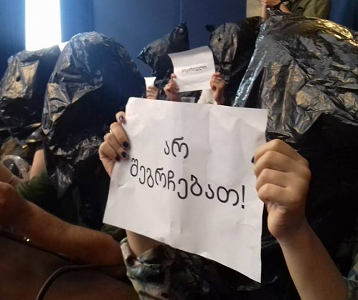 The new twist in the long-running court drama comes just as Okruashvili is in the midst of an election campaign to try to get elected as majoritorian member of parliament for Gori district. He was an exiled opposition figure living in France during the later years of Saakashvili’s reign but returned to his home country after the change of government in 2012. A document published by Okruashvili appears to show a contract between him and Khalvashi signed in 2010 in Berlin, confirming that Khalvashi was the nominal owner of Rustavi 2. The apparent contract further says that Khalvashi represented Okruashvili in all contracts signed in order to purchase the TV company. “Kibar Khalvashi won’t act in any case related to Rustavi 2 without agreeing with Irakli Okruashvili,” the document reads. 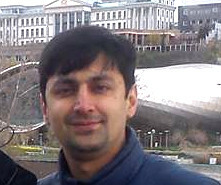 Khalvashi’s lawyer claims that the document is a forgery. November 3, 2015, Tbilisi City Court partly satisfied a lawsuit filed by Kibar Khalvashi, handing him all 100 percent shares in Rustavi 2. The Appeals Court upheld this decision, while the case now reached the Supreme Court, which should decide whether to hear the case by Monday. The decision has not yet been published. 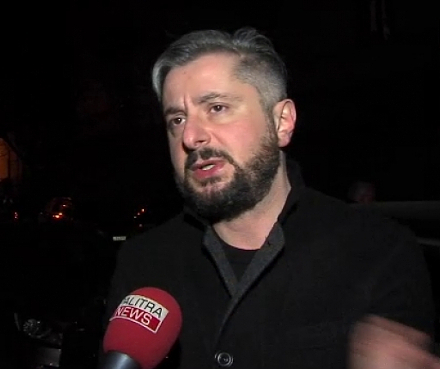 Okruashvili told Pirveli on Tuesday that he was not planing to publish the document about him and Khalvashi in the election campaign, but was ‘forced to’ due to the ‘actions’ of GD party secretary, Energy Minister Kakhi Kaladze. 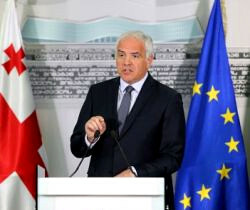 Okruashvili claims that Kaladze has been engaged in a ploy against him over the last three years and blamed him for the dismissal of his party member Ilia Metreveli from Gori City Council. Kaladze didn’t comment on this beyond saying that the court has to decide.